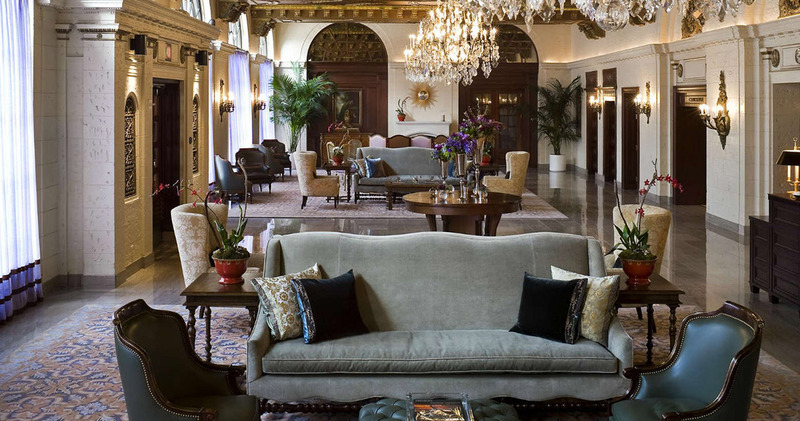 Located on K Street, The St. Regis Washington D.C. is just a short walk from the White House. 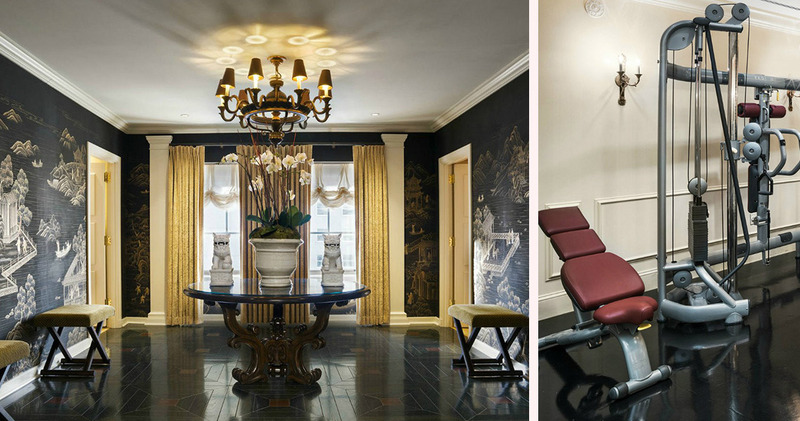 Chosen as one of the best hotels in the country by the US News and World Report in 2015, this luxurious hotel has hosted American presidents, diplomats and royalty. 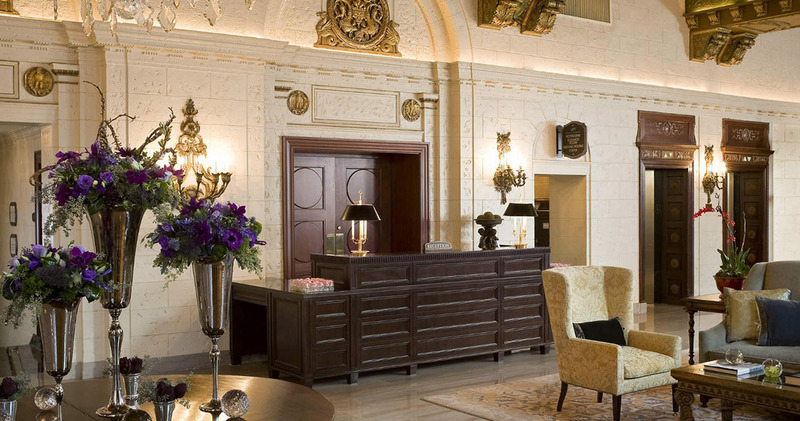 The lobby is grand and well-appointed with vaulted wooden ceilings, crystal chandeliers, antique style furniture, luxurious rugs and an ornate fireplace. With large windows lining the wall, this beautiful space is filled with natural light. 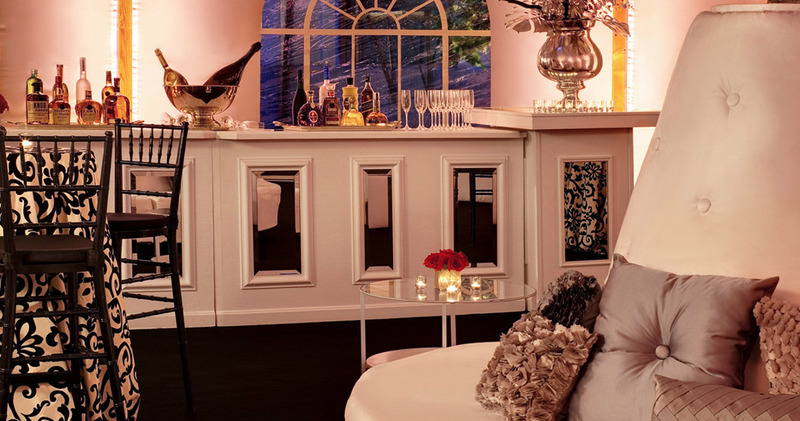 Each evening The St. Regis Hotel hosts a Champagne ceremony for guests. 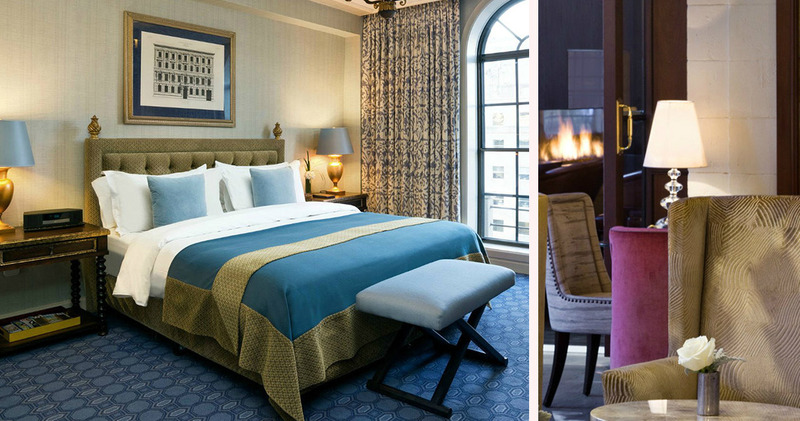 The guestrooms at The St. Regis Washington D.C. are classically elegant. 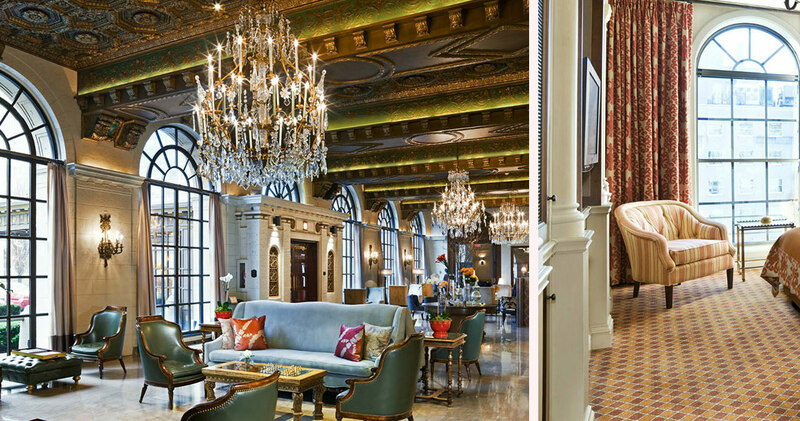 The decor features a tranquil blend of warm colors, gold hues and brass fixtures, and the large windows, rich curtains and custom furnishings create a sophisticated look. 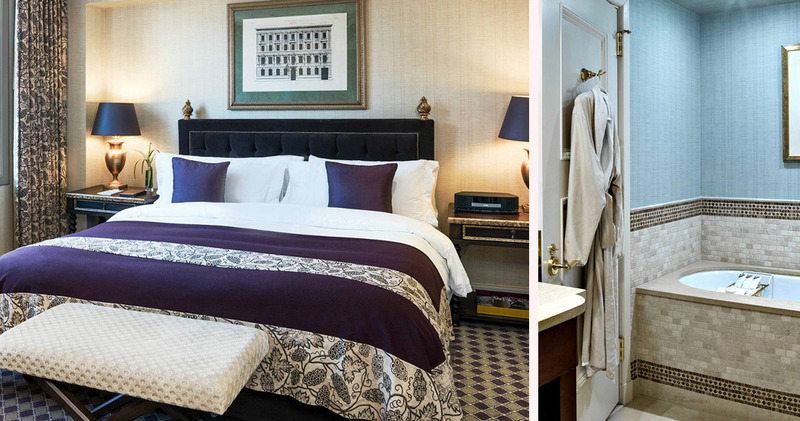 The plush beds feature down comforters and luxurious Pratesi linens. 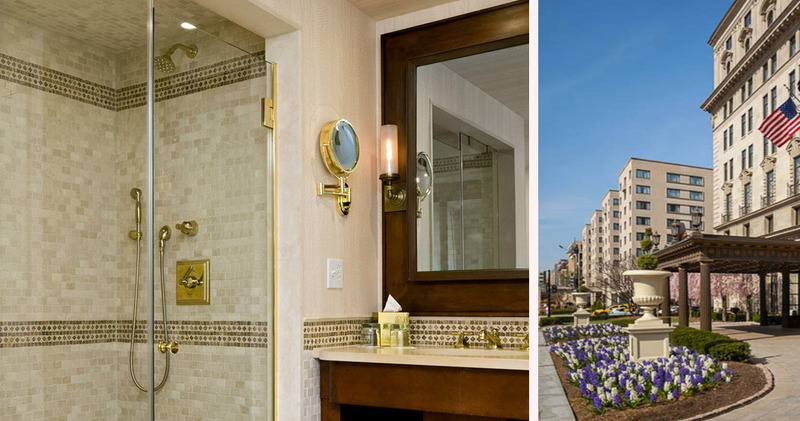 The bathrooms feature an oversized tub, Italian marble vanity and custom brass fixtures, along with custom bathrobes and deluxe Remède products. Decanter at The St. Regis Washington D.C. is a sophisticated restaurant with original features such as a landmarked ceiling, rich textures and bold silver, gold and black hues. Serving a Mediterranean menu by Chef Sebastien Rondier, this modern restaurant has a warm environment. 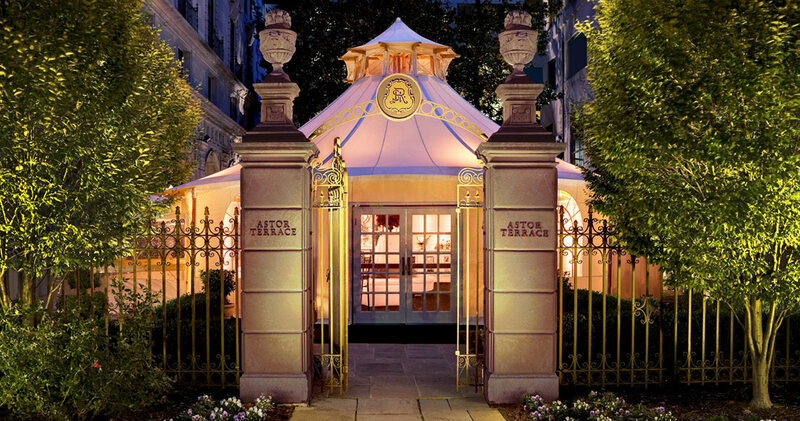 St. Regis Bar serves fine wines and pre-prohibition cocktails, and a daily Afternoon Tea with champagne, tea, savory sandwiches and delectable sweet treats.